I know I’ve said this time and time again but I do love a bold red lip. That never always used to be the case though and I struggled to break the barrier so to speak. It sounds silly, but it can actually be quite daunting rocking a bold lip for the first time, especially red. 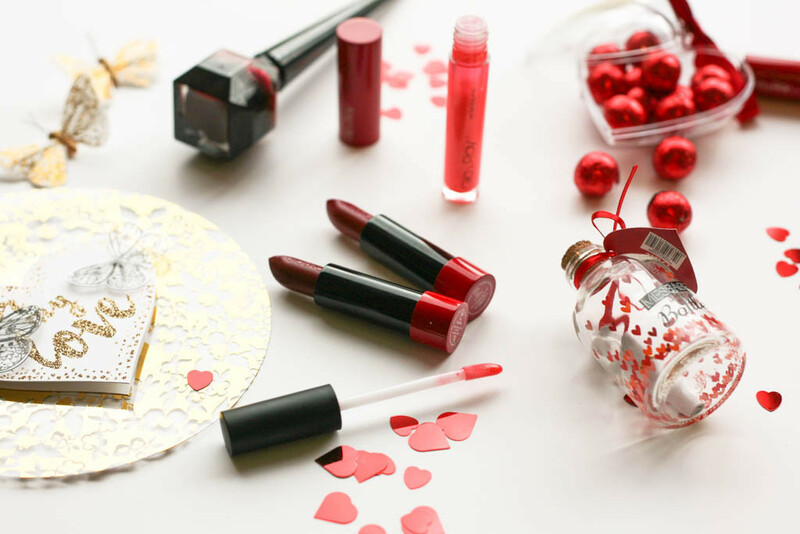 Most people have this view that you can either carry it off or you can’t but I think that anyone can wear a red lip, you just need to find the right tone and with Valentine’s Day just round the corner, what better time to go all out. 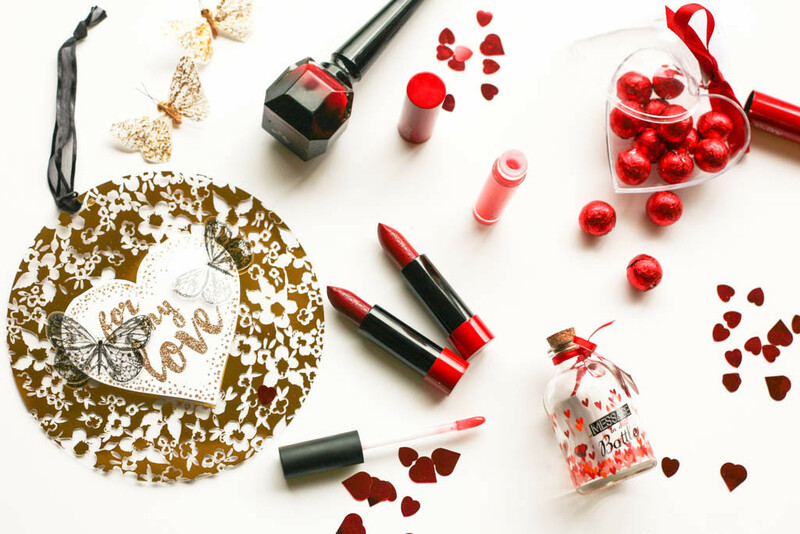 If you are looking for some inspiration, these gorgeous lipsticks from Glo & Ray should be right up your street. 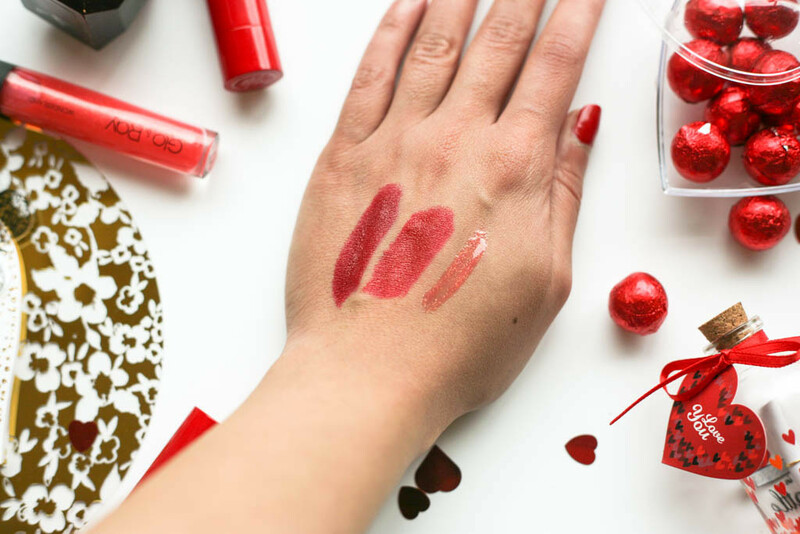 The La Amo Creamy Shimmer Lip Colours* come in beautiful red shimmery packaging and with Glo & Ray embossed on the lipstick itself, you wouldn’t think they carry such an affordable price tag of just £12 each. These lip colours contain a Light Colour Fitness Complex alongside Micro Shine Particles which help your lips look fuller and overall add that somethin somethin on the lips. The colours I have are in a word, divine. Mysterious on the left is a deeper red with berry tones whereas Seduce is softer and more of a pinky red and both suit all skin tones. The pigmentation, as you can see from the swatches, is amazing and I love the creamy formulation. In terms of the shimmer, this is not an in your face shimmer but more of a subtle soft focus effect, great for adding a two-dimensional look. If you really want to add some serious shimmer then the Wonderland Hydrating Lip Gloss in Rose Drip* is what you need. I tend to use something like this in the centre of my lips only and this is a lovely coral which compliments these lip colours so well, or it could be used on its own too. 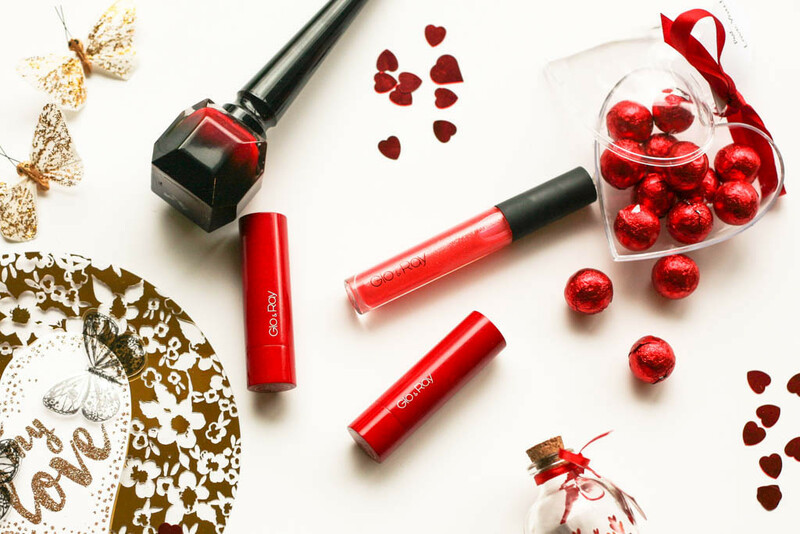 I’m loving these products and whether you are looking for some Valentine’s Day Inspiration or you are like me and just love a bit of red on lips, then I would seriously check out these colours. You can also check out my earlier post on Glo & Ray here, I think this is a great up and coming makeup brand and so far I have been very impressed with their products.